Arlington Place strives to be a good neighbor and to have a positive impact on the surrounding communities. 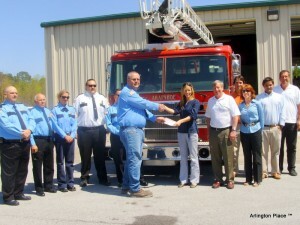 Recently articles in both the County Compass and Pamlico News local newspapers shared the good news of the brand new ladder truck that Arlington Place donated to the Arapahoe Fire Department. We invite you to visit Arlington Place to see all of the amazing progress our community is making and to explore the surrounding area!